As a speaker, you’re given a special role. You’ve been given the power for your voice to be heard. For those who deliver an informative speech, this role can come as a challenge. 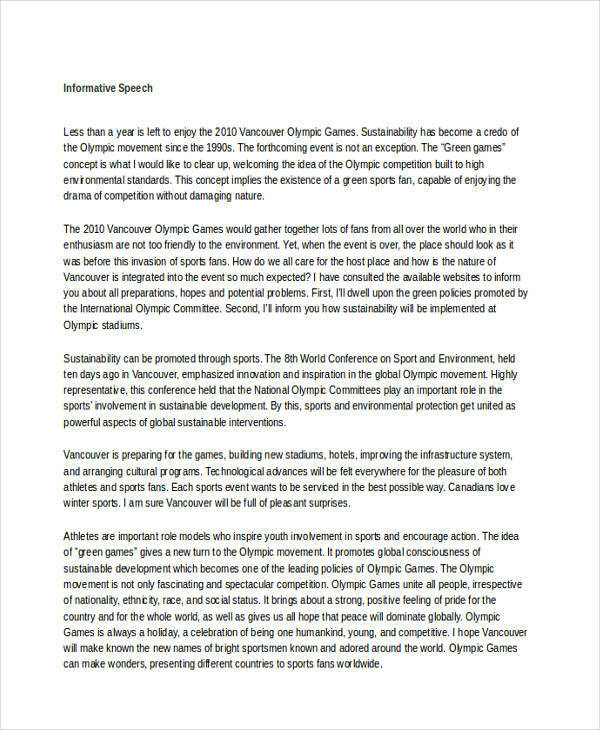 Not only do you have to write a speech, but you also need to deliver it well. Of course, there’s also the challenge of making your speech interesting enough to capture the attention of your audience. An informative speech must be made memorable for it to be effective. 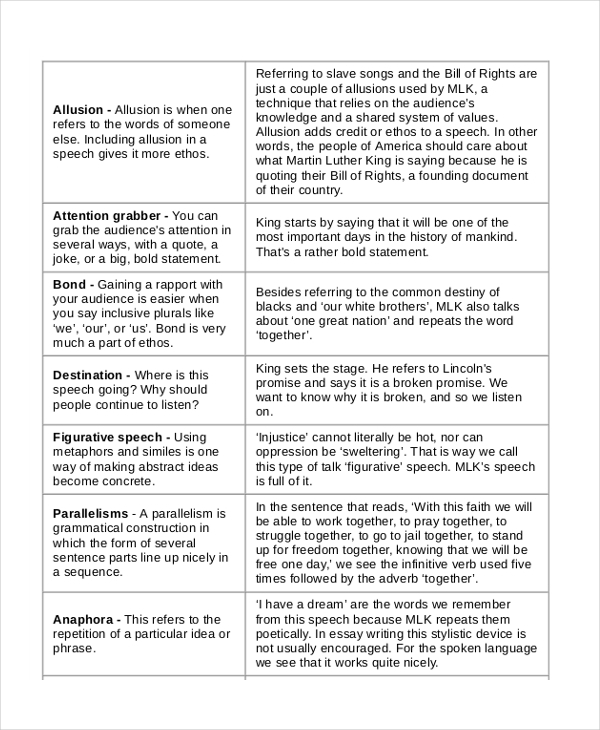 Check out these examples and outlines of speeches that have tried to do just that. If they succeeded or failed, you’ll be the judge of that. Take what works and replicate it in your own speech drafts. An informative speech is a type of speech wherein facts are presented to a given audience. Unlike other speech examples, it isn’t made to persuasive speech or convince the listener of what to do or how to think. Naturally, the speaker must be knowledgeable enough of the topic. For instance, when a professor gives a lecture to a class, technical information on a subject is given to the audience that is, in this case, made up of students. The lecture here is basically an informative speech that simply explains something of interest or describes how something is done. Always maintain your focus. It’s easy to swerve lanes with topics that are too broad, as there just too many areas that may be covered. So instead, identify the specific areas that you wish to tackle. 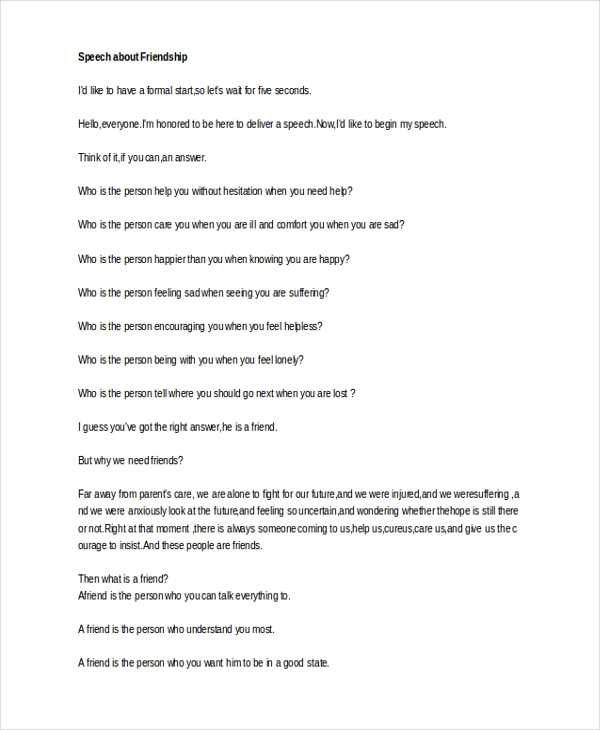 You may also see tribute speech examples & samples. Focus on these areas and provide supporting details for each. If you wish to paint a mental picture for your audience, make your speech as detailed as possible. You can do so by describing even the tiniest detail of a given subject. Additionally, consider your audience’s needs when crafting your speech. Make sure that it caters to their knowledge level and group. You need to be accurate, clear, and meaningful in order for your speech writing to be effective enough. 1. 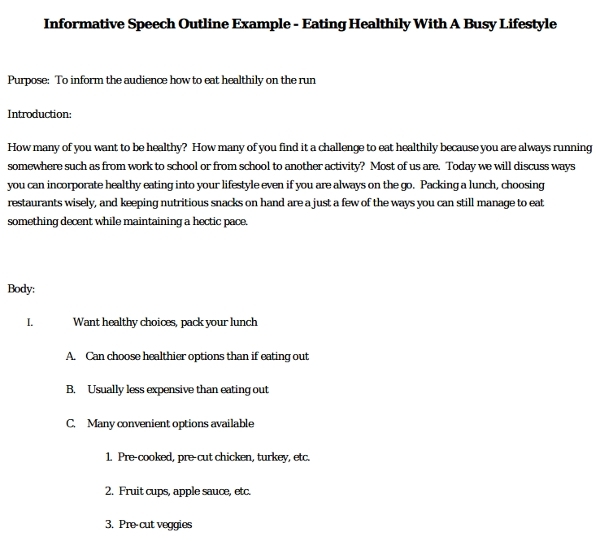 Before you create the actual outline for your speech, you need to decide on your topic of interest. 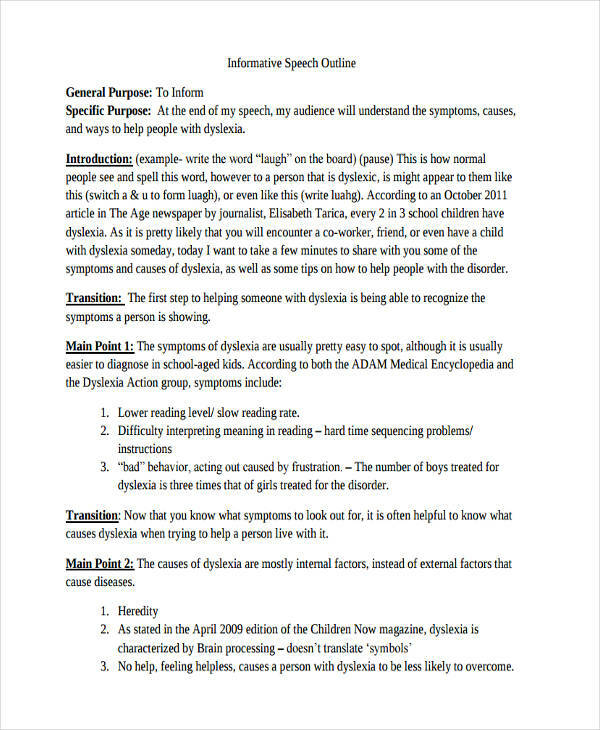 This will help you brainstorm on key points that you would want to emphasize in your speech. You may also like dedication speech examples. 2. Next, it would be necessary to arrange these points in a certain manner. It may be in topical, spatial, or chronological order. This will help you make smooth transitions between different points. 3. 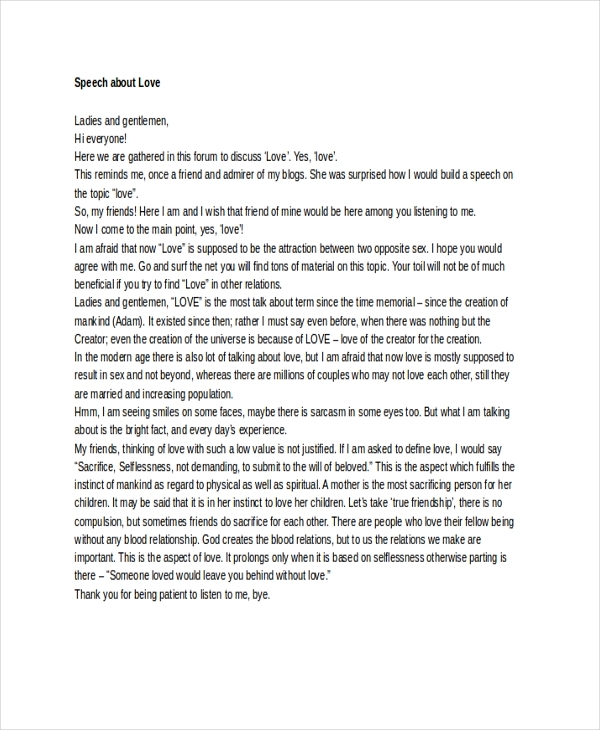 Finally, conclude your speech. 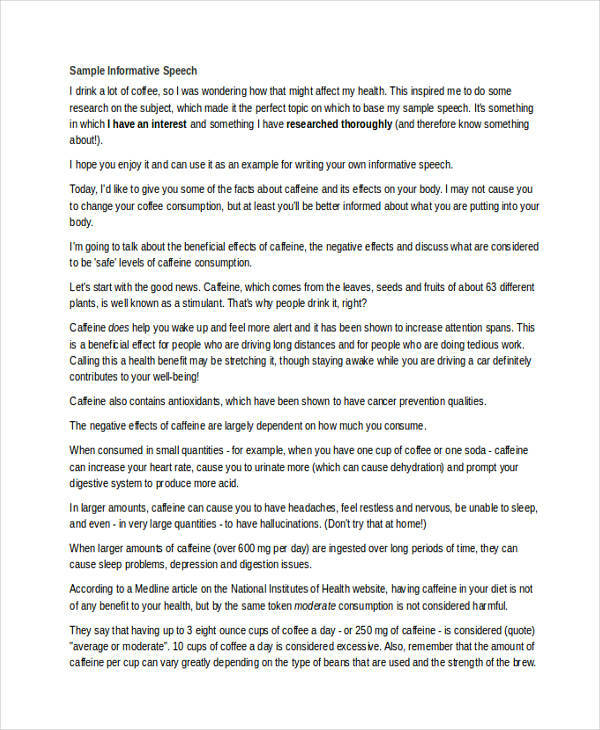 Since you aren’t meant to provide a call of action for this type of speech, simply summarize the main points. 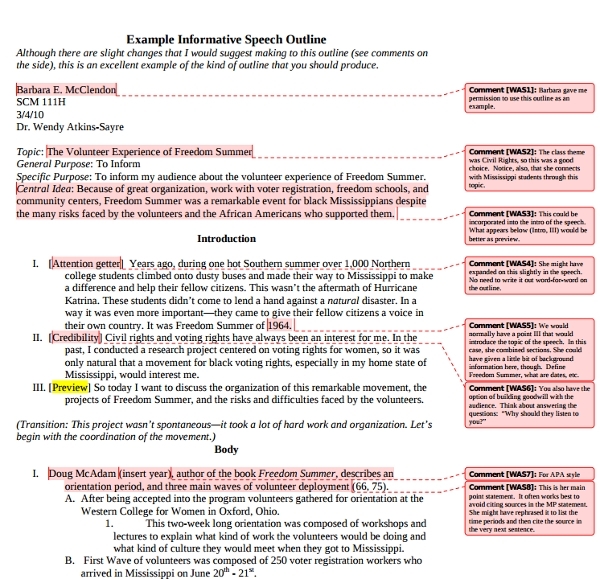 Remember, your speech outline isn’t your whole speech but it will serve as a draft to guide you with your final speech. 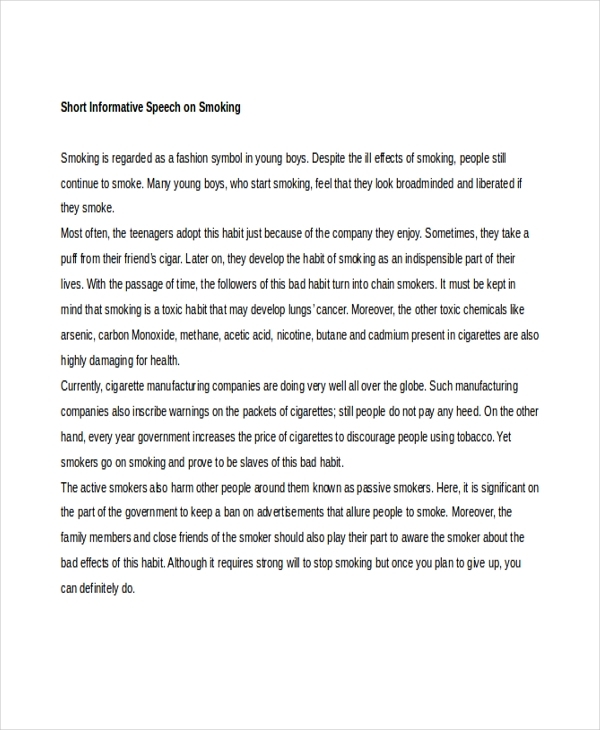 Why Is an Informative Speech Important? 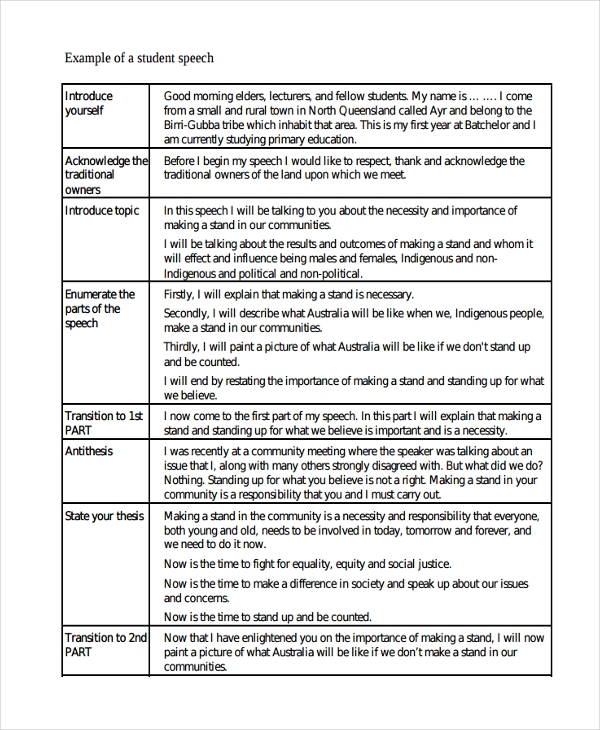 An informative speech template & example is an essential part of learning, especially if you want to share your knowledge on a given matter or even spread awareness to the public. An effective informative speech provides an audience with information that are significant, yet uncommon. Listeners wouldn’t want to hear about things that they already know, it’s the speaker’s job to expand the knowledge of an audience. At the end of the day, this ideal of educating a public proves to be beneficial for both the speaker and the audience. 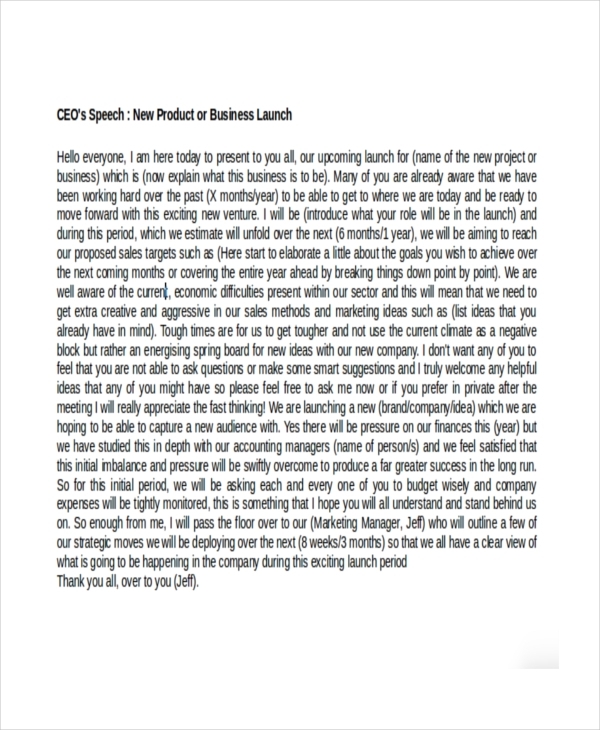 You may also check out orientation speech examples & samples.